While it's true that many of us spend more time indoors in the winter, there are also those who embrace the outdoors, the snow and cooler temperatures. “ People huddle against the cold wind”. Winter is a busy season for fires in Canada. That's why it's important to be mindful of fire prevention and safety. Make sure you have working smoke alarms, don't leave burning candles unattended and if a pot catches fire while cooking, put a lid on it. Read more tips. 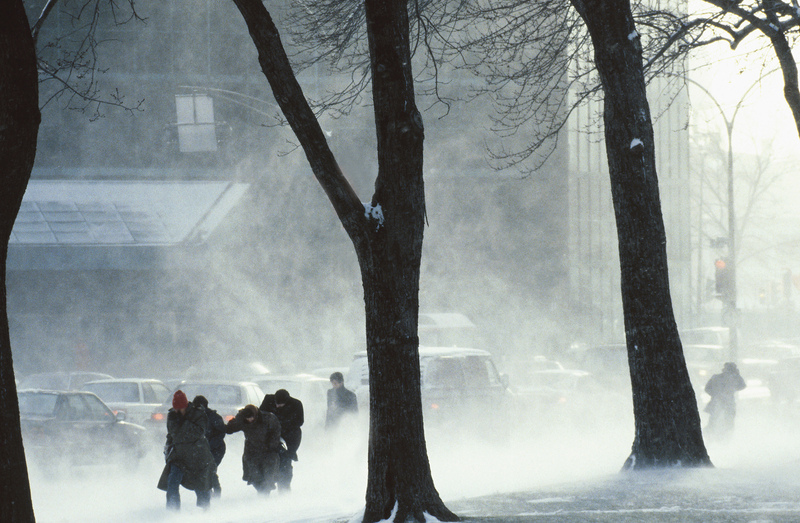 Winter may be cold, but it doesn't have to be dangerous -- stay warm and safe and enjoy your winter, inside and out! Photo provided by Environment Canada (photo.com) “ People huddle against the cold wind”.